With a durable commercial-grade plastic design and a powder-coated steel frame that combine to support up to 2,000 lbs., this Lifetime 57-inch x 96-inch Picnic Table provides a versatile seating solution for a patio, porch or backyard. Its crack, rot and warp-resistant design stands up to wear and tear for long-lasting enjoyment and the table easily folds for compact storage and transport. Gallant Navy Blue Reclining Patio Lounger Relax while you stretch out or sit upright on this flexible and comfortable lounging recliner from CorLiving. The sleek lines and powder coated steel frame of the PJR-329-R create an elegant look while the ultra durable fabric surface provides ideal comfort for any outdoor patio. Expertly constructed to withstand a range of climates and is UV resistant which prevents discoloration or sun damage. 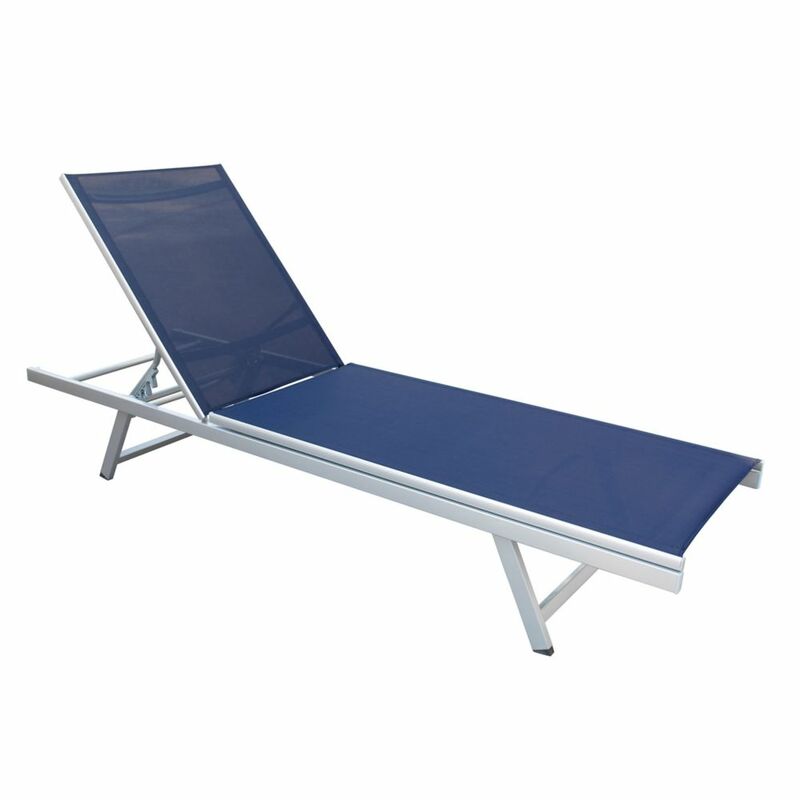 Gallant Navy Blue Reclining Patio Lounger is rated 5.0 out of 5 by 1. Rated 5 out of 5 by mighty woo from Nice and long I bought it for my wife for Mother's Day, she's happy, I'm happy.